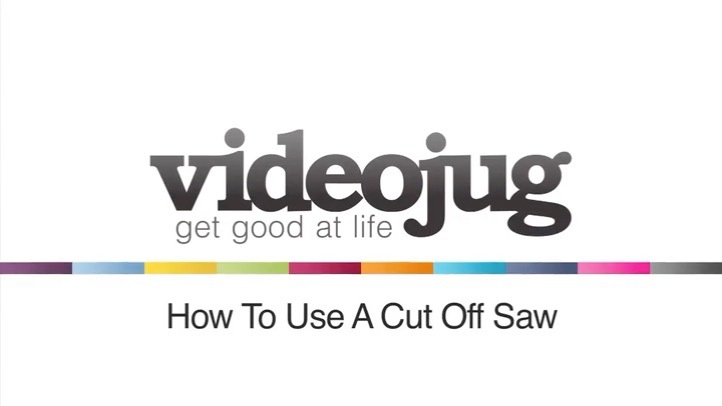 A useful film from Videojug that teaches you how to handle a cut off saw. It shows you how to operate and handle this type of machinery, and gives you safety tips as well. Okay, this is a video on how to use a cut off saw. Okay, this machine is a tool straight machine. First thing you need to check, a certain compartment over here is actually filled up with petrol. This one is actually filled up to the top. So, we are ready to go. Okay, on the machine, they do have a choke. So, what you need to do when you start the machine is flip the choke on to four. It’s got a primer button here. What it does is it pushes a little bit of fuel through, when you are actually doing a cut off saw. So, what you do is probably push this probably three times. Okay, the next thing, pull this throttle into the starter position. Pull the machine, watch the machine actually kicks over, goes to start and pull the choke off back over, pull it again, and the machine will run. Okay, there are a few features on this machine. You can use a water feature which actually keeps the dust down as well. So, what you do is plug a hose pipe straight on to the machine, turn it on from the mains, switch this lever over, and the water will feed through, onto the blade, keeping the blade cool as well, and making sure you get a dust free cut. On this particular machine at the moment, there is a diamond blade, but you can actually use the carbon blade which is a black blade, there is your black colour and you can use them for cutting through metal or stone. But at the moment, this machine is set out for cutting through stone only. To see if there are any aspects on this machine is anti-vibration so you shouldn’t get too much vibration, it shows you on the springs there, so when you are actually using it, and when you are using it, make sure you got a firm grip on the front here, and on the back there, and that you are actually wearing a dust mask and eye protection, and foot protection as well. And that’s how to use a cut off saw.